I can’t remember much about it except that it was the mid-1970s somewhere near Hadrian’s Wall in Northumberland. But I remember that my relative - my father’s cousin’s husband, whom we called my uncle - asked if I’d like a ride on his tandem. For a minute or two, I lurched around a field on the stoker seat at the back, before being deposited back with my father. It was the kind of brief, new experience that children from fortunate backgrounds are lucky enough to enjoy many times while growing up. This experience had a far more profound effect on me than most other bits of childhood excitement, however. 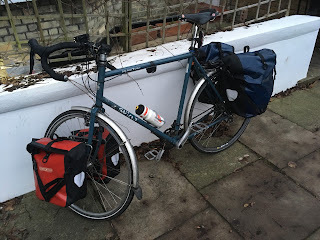 The ride was the first time I’d ever made a journey on two wheels, part of a process of learning about bicycles that has helped to shape both how I get about and, to some extent, who I am. My uncle and aunt were critical role models for me, much the keenest cyclists in the wider family and thoroughly steeped in the small-scale, self-contained British bicycling culture of their era. For a long time, I nurtured the intention of getting back in touch with them to tell them how much their example had meant to me. I wanted to share with them the many simple joys that riding a bike had brought into my life. Yet a chance twitter exchange on December 21 led me to do a Google search on their names and come up against a surprising, sad discovery. Without my hearing about it, both died within the past two years - my uncle in February 2015 and my aunt this past November. I won’t be able to share a last conversation about cycling. Nor will I be able, as I’d long planned, to get to their funerals by bike, as a quiet tribute to how they inspired me. The recognition of their having gone has, nevertheless, prompted me to reflect again on how the habit of cycling is propagated. In countries like the UK and the US, where cycling is a minority activity, many of us who ride bikes do so at least in part because some relative initiated us into cycling’s mysteries. My father taught me how to ride a bike and how to handle myself on the roads. But my uncle and aunt were examples of how a bike could be central to one’s daily transport and leisure time. 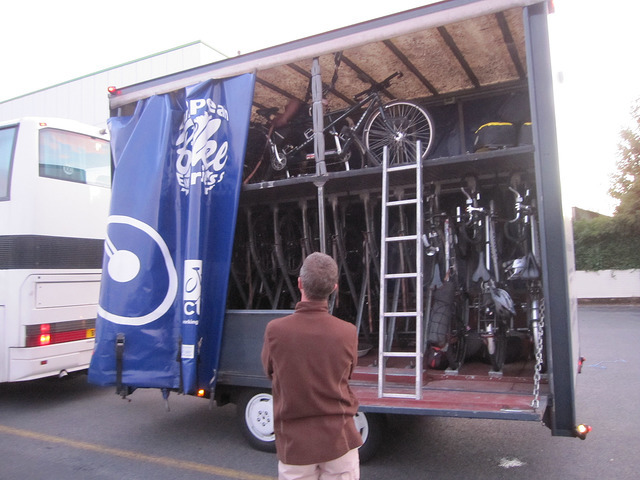 They showed me that the self-reliance and communion with the world around that come with transport cycling could shape much of one’s life experience. News of their passing has also led me to reflect on how people such as my uncle and aunt kept cycling going in less cycling-friendly countries during the mode’s leanest years. It must have felt hard, sometimes, to maintain enthusiasm as roads were gradually redesigned to encourage private motor car use and to disadvantage cyclists. Yet sheer, naive enthusiasm kept them going. The ride in Northumberland stood out in part because it was a relative rarity. My aunt and uncle lived in Newcastle, a fair distance from where I grew up in Glasgow. We saw each other mainly on short visits during school holidays, spent largely with my aunt and uncle’s son, six months older than I.
an image that would baffle my mother. But there was greater intimacy than the relationship might suggest. My father, an only child, grew up partly with my aunt, who with her brother stayed with my grandparents during their holidays from boarding school. Their own parents were abroad with their father’s work in the diplomatic service. There was a sibling-like fondness between my dad and my aunt and their family formed part of my family’s emotional furniture. I should admit that it was part of that emotional furniture that my mother, who never learned to ride a bike, found my aunt and uncle vaguely baffling. She used regularly to tell people, in amused disbelief, how they’d turned a whole room of their end-of-terrace house in Jesmond, Newcastle, into a space for storing and working on bikes. She was similarly horrified they’d wallpapered one wall of their front room with Ordnance Survey maps of areas 100 or so miles either side of Newcastle, to facilitate planning of touring trips. She scoffed over how my uncle had modified a tandem so that his son could help out with pedalling. I quietly thought their way of doing things rather cool, though. I recall their once visiting us in Glasgow with their touring bikes, watching them heading off down the road afterwards, turning smoothly onto the main road and aspiring to their calm poise and control on their laden machines. It is no accident that I’ve ridden a touring bike almost exclusively since 2007. But the point that influenced me most, I think, was not a specific technical point or some notion about how one got to work each day. It was that they enjoyed getting about by bike more than they cared what other people thought. This was, I think, the point that ultimately my mum both admired and found baffling - their indifference to convention. It’s because I feel something similar that I’m prepared to cycle to distant meetings without much concern about how I’ll look when I arrive. of bicycle, but aspirational for me. While there are ways of looking cool on a bicycle - riding a minimalist fixie or cruising along on a retro-looking Dutch bike - both my aunt and uncle and I belong to a rather different, what-matters-is-what-works school of thinking. 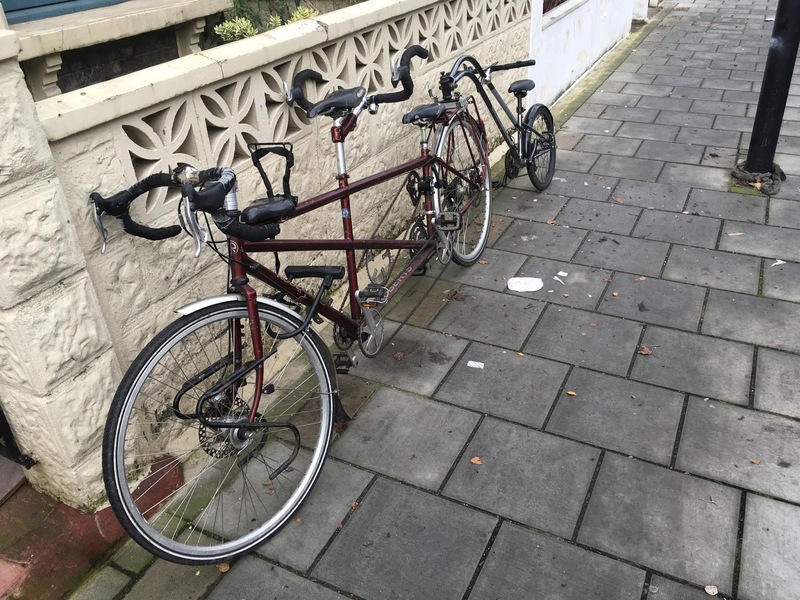 In contemporary, English-speaking societies, even as it’s become more socially acceptable to cycle, one still needs a bit of that spirit to make a bicycle one's main mode of transport. Eventually, at some point in the 1980s, my aunt quit her job as an architect and they started their own bike shop in Low Fell, Gateshead, near Newcastle. They resisted, I recall, selling Raleigh Grifters, cheap imitation mountain bikes popular with kids, but had to give in. The shop was never, I sense, a huge financial success. The area near the shop houses a big - and not especially well-off - Orthodox Jewish community. My uncle would grumble about his struggle to persuade the community’s boys that maybe it was time for a new bike instead of repairing this one yet again. Fortune seldom seemed to smile on the enterprise. My aunt spent one Christmas cleaning up the flat above the shop after the tenant killed himself. Another Christmas was marred by a costly break-in. But there remained around them an unmistakable sense that a bicycle was a tool for exploring the world, in a far fuller sense than was possible in a car. The one time we took a foreign family holiday - to Normandy, in 1986 - we quite by chance came upon my aunt, participating in a Cyclists’ Touring Club tour of the area. She used to gripe around then - she was nearly 60 - about being classed a “veteran” when participating in competitive events. When I lived briefly in Newcastle during my newspaper training and I told them of our plans to honeymoon in the Czech Republic, they warmly recommended we visit Český Krumlov, which they’d visited on another touring holiday. have been there but for my relatives' example. Without their example, I doubt I’d have spent much of one summer of my university holidays cycling around central and southern Scotland. I might not have felt bold enough to drag my own family on cycling-based holidays in western France and on Cape Cod. While they were far from worldly people, they had a clear sense of the boundless possibilities of the outdoors world and a continuous excitement about the the possibilities of using a bicycle to explore it. I had an enjoyable dinner with them while I was training in 1994 and recall my uncle’s explaining that the big risk with riding a tandem was the sheer speed they could gather on downhills. “If you don’t look out, before you know it you’re doing 50mph,” he told me. Such youthfulness is, of course, no substitute for eternal youth. When I last saw my uncle, in 2002 at my father’s funeral, he was suffering from emphysema, thanks to a life of pipe-smoking. My aunt eventually needed full-time residential care. But my mother passed on for far longer than one might expect stories of their soldiering on with their tandem, each in their 70s but making up for the other’s shortcomings. I got the sense that they were clinging tenaciously to the activity that had shaped their sense of themselves. While many of my choices have been very different from theirs, I understand some of that instinct. 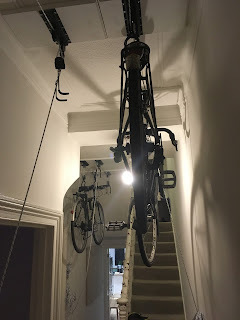 I live, after all, in a house whose hall is hung with the family bikes. I’ve yearned for a child on a trailer bike to put in at least some pedalling effort. I’ve turned up mud-spattered for an important event because I insisted on making the journey by bike and the trip went less smoothly than I’d imagined. I’ve been determined to keep cycling to work even in weather in which others thought I was mad to try. It’s partly because of that fellow feeling that I wish I’d found out earlier about my aunt’s death and been able to attend the funeral. I would have liked to represent my father and to reflect some of that warmth among my father’s family towards my aunt. But I’d also have valued the opportunity to pay tribute to what they represented. They kept cycling even as planners drove urban motorways through Newcastle and peppered the city with mini-roundabouts intended to smooth the traffic flow. They continued riding bikes even as once-quiet rural roads became clogged with traffic. They made do with far less sophisticated machines than we now enjoy, braving mountain paths and high-speed roads alike with minimal gears, heavy bikes and rudimentary brakes. 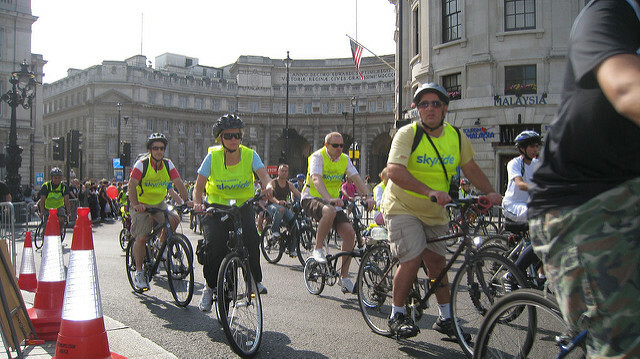 Such die-hard enthusiasts were the founders of many of the organisations that have been at the forefront of improving cycling across the industrialised world - the London Cycling Campaign, Transportation Alternatives in New York and many others. I see wizened, older cyclists at many activist events and respect the way they kept things going through far harder times. It is easy to get caught up in the present generation’s battles. It is easy to sneer at a previous generation’s focus on riding on roads and neglect of infrastructure. But the memory of my aunt and uncle has reminded me that we all still in a sense ride in their slipstream. It’s the kind of incident that a London cyclist experiences pretty regularly and that I’d normally put straight out of my mind. As I rode home from work a few weeks ago, down Lambeth Road past the Imperial War Museum, a pedestrian yelled at me as I rode through a zebra crossing: “You’re supposed to stop!” Since I’d ridden through as he was on the other side of a central pedestrian refuge from me, on a wide, four-lane road, I found the shout irritating, rather than guilt-inducing. He wanted to make a point, I sensed, rather than to express any plausible serious concern. At the closest point, we were at least four or five metres apart. The incident has stayed with me because the Peeved Pedestrian of Lambeth Road seems to represent a significant current tendency in anti-cycling thinking. Again and again recently, people have responded to my writing about the dangers facing cyclists by complaining about cyclists’ behaviour in pedestrian areas. “A cyclist whizzed right past me on the pavement the other day,” the rejoinder to some tale of death-narrowly-escaped often runs. “What do you say about that?” People often use cyclists’ alleged misdeeds towards pedestrians as grounds to withhold their sympathy for people trying to improve conditions for cyclists to make riding safer. This train of thought describes a world entirely at odds with the one I inhabit, where I feel vulnerable in encounters with pedestrians - far more than I conceivably would as a driver. It’s far from uncommon for people to rush into the road to try to knock cyclists off. I’m frequently forced when riding perfectly properly to swerve round pedestrians who see me but insist on not breaking their stride, apparently to express some irritation or anger. While I certainly bring more kinetic energy to most foreseeable collisions than a pedestrian would, the mismatch in power is very different from that between me and someone encased in a steel cage equipped with a powerful engine. It makes far more sense, it seems to me, to see the undoubted friction between cyclists and pedestrians as a symptom of how poorly many streets have been designed to work for both groups. Cyclists and pedestrians are tussling like two hungry vultures over the scraps of public space left over after the lion-kings of the space - the motor vehicles - have eaten their fill. The two groups would be far better off cooperating to seize some juicy prime cuts. The challenge is to recast people’s thinking to make that obvious. I am not, I must make it clear, condoning or encouraging the types of behaviour that help to fuel the mistrust. I can understand that people find it irritating when a fast-moving cyclist swishes past at speed in an area that’s meant to be devoted to pedestrians. I’m never impressed on the rare occasions that I see cyclists riding through red lights and causing genuine inconvenience to people trying to cross the road safely. I think all classes of London road user leave too little room for error around others, including cyclists around pedestrians. astonishing given the tiny risk. But it’s important to put the risk in context. Only two of the 408 pedestrians killed on the UK’s roads last year died after collisions with cyclists. Only 89 of the 4,584 pedestrians seriously injured on the roads received their injuries in collisions with people riding bikes. While it would clearly be preferable for all these figures to be zero, cyclists account for 1.8 per cent of traffic on the UK’s urban roads and far more in the busy, inner-urban locations where most conflict between cyclists and pedestrians takes place. Since collisions with cyclists accounted for only 0.5 per cent of pedestrian fatalities and 1.9 per cent of serious injuries, it’s clear that being around people riding bicycles is markedly safer for people walking than being around people driving. Some 99.9 per cent of Great Britain’s 1,730 road deaths in 2015 were in incidents involving at least one motor vehicle. I nevertheless regularly hear rationalisations arguing that these statistics obscure the nature of the risk, rather than illuminating it. People have told me that drivers are somehow more predictable than people on bikes - and that drivers at least don’t endanger pedestrians in their space - the pavement (or sidewalk, American readers). Yet around 6 per cent of pedestrian fatalities in London are people who were on a footway when struck. Overall, last year in the UK, there were more reported collisions on pavements between motor vehicles and people on foot than between cyclists and people walking. a reminder of the real source of danger. The illusion that drivers are safe and predictable only adds to the danger. The death last month of Joanna Reyes, an actress, on Commercial Road, East London, demonstrates the risks. Huge numbers of drivers drive at excessive speed down the stretch of Commercial Road, which I know well because we stayed there in July and August immediately after returning to London from New York. Reyes appears to have been hit while standing on a pedestrian refuge in the middle of the road, an area most people would assume themselves to be safe. A driver was arrested on suspicion of causing death by dangerous driving. Even as he shouted at me, the greatest danger facing the Peeved Pedestrian of Lambeth Road was that a motor vehicle would come speeding along the road and hit him. Yet I suspect that pedestrians’ fears about people cycling aren’t much related to rationality. People who are habituated to regarding the only risk on the road as being large, noisy motorised machines are apt to be scared when they suddenly - and often too late - notice an approaching small, silent machine. The instinctive, angry reaction is so deep that I sometimes imagine it stems from some of humans’ oldest impulses. People seem instinctively to grow more alarmed at suddenly noticing something moving fast but silently in their peripheral vision than by something large, obvious and noisy that announced itself far further off. It’s also far easier for a pedestrian to experience a run-in with a cyclist as an interaction with another human being. Drivers in cars are not necessarily visible and the vehicles can seem like a faceless force, a fact of street life. Because cyclists are very visibly people, it’s easier, I think, for people to feel rage at them. On top of all that, a confrontation between a cyclist and a pedestrian is far more evenly-matched than many people’s complaints would allow. There was considerable controversy in September over a video that showed a cyclist on Millbank in Westminster passing uncomfortably close behind a pedestrian on a zebra crossing. While I thought that the cyclist left too little margin for error, the striking point for me was that the pedestrian deliberately reversed course to obstruct the cyclist’s path in retribution. Most people on foot know, I think, instinctively that they can do a fair amount of harm to a person riding a bike if they want, judging by the number of times I’ve had pedestrians deliberately block my path or try to knock me off my bike. If people truly lived in the mortal terror of people on bikes that some critics contend, such deliberate actions by pedestrians against cyclists would be as rare as attacks of that kind on people driving cars..
Much of the road design I encounter, meanwhile, only serves to ratchet up the risks of such cyclist-pedestrian confrontations, rather than to dissipate it. The standard response of many local councils in the UK - and the US, where I lived for four years - is to regard cyclists’ demands as part of an amorphous “active travel” agenda and to force the two different groups into a redesigned but no larger space, which both sides are meant to share. The obvious dangers of such an approach are mitigated by erecting multiple signs telling cyclists to slow down. It is hardly surprising that many people on foot find themselves feeling irritated at being buzzed by fast-moving cyclists in such circumstances, while it’s entirely predictable that people on bikes - which people use to get fast to places they need to go - find themselves frustrated by designs that envisage their going at a walking pace. bike path that's well-suited for high speeds. What finishing touch does it require? Even illegal on-pavement cycling - a regular bugbear of many pedestrians - reflects far more than many people appreciate the muddled design of many roads. I most often see fellow cycle commuters mounting the pavement near junctions when the lanes meant to be filtering them to the more visible, safe head of the traffic queue are blocked by motor vehicles. While I am sure that such behaviour infuriates people walking, I also know there’s a powerful impetus not to let oneself get stuck in a stream of motor vehicles - especially when the road designer has signalled it would be safer to be at the front. 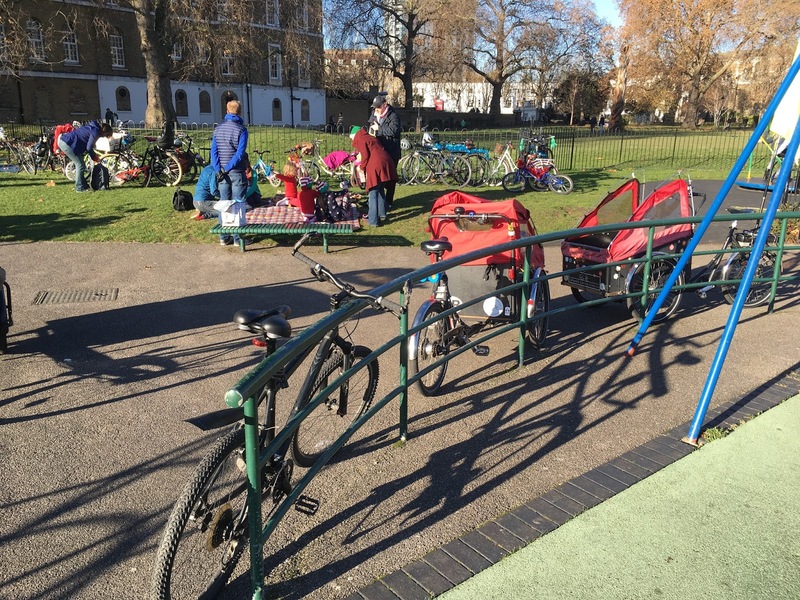 The answer to many of the frustrations is for road planners to start recognising a point that should be self-evident: that motor vehicles, cyclists and pedestrians all have distinct and different needs and that far more clarity is needed to help all to share public spaces. It’s far less common for me to find texting pedestrians wandering heedlessly into my path when I’m using the clearly-demarcated north-south cycle superhighway on Blackfriars Road than when I’m riding on the short, confusing shared-use section of Sumner St, behind the Tate Modern. It’s also clear that cyclists using the new superhighways are far less prone to running red lights through pedestrian crossings than when on main roads and seeking to escape the road-wide charge of accelerating motor vehicles that a change of lights produces. 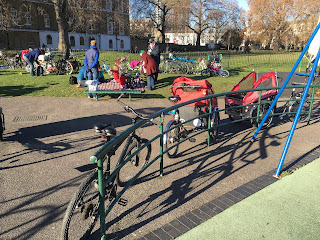 In interfaces between people on bikes and those on foot, as in many other areas of life, it strikes me that strong fences have a tendency to create good neighbours. a striking sign of design's effect on behaviour. I recognise, nevertheless, that until such designs are widespread, I will find myself interacting with people on foot in spaces that are poorly designed for the purpose. I will seek, as I was doing even on the night of my run-in on Lambeth Road, to ride cautiously and respectfully around people on foot. I think it’s important that all road users try to avoid, where possible, causing other people on the road unnecessary stress. I hope, however, that people on foot will return the favour a little too. While we both face the common enemy of the motor car, after all, I know that we both face some dangers if we collide and I’m knocked off my bike. When pondering that point, I remember an incident from the summer of 2013 as I rode home down the Hudson River Greenway on the west side of Manhattan. Near a narrow section where runners and pedestrians were forced together, I came upon a middle-aged Dutch man slumped on the ground and grasping at his shoulder. He had hurt himself, I later discovered, after a runner had stepped off the walkway and into his path, knocking him off. There could scarcely have been a starker illustration of the real, albeit small, risk that cyclists face in such situations. I waited for 20 minutes with the man until an ambulance arrived to take him for treatment for what seemed to be a badly-broken shoulder. A few miles after I restarted my ride home, I came upon the runner again. She had not only been able to continue her run uninjured but was apparently untroubled by the damage her actions had caused.